Brands come to us when they want results. Global giant, or start up, we are passionate about comprehensive brand design and strategic thinking, achieving engaging communication through print, online, new technology and new mediums. We are a smorgasbord of passionate creatives, dedicated in delivering imaginative, beautiful work. Together we are creative changemakers. Our award winning designers are featured in the Institute of Designers in Ireland, The Institute of Typographic Designers and compete in client projects in all Ireland awards scheme. The derivative of our name is our mission: to ‘continuously improve,’ not only our own business, but to evolve and strengthen those we work with producing outstanding design. We are a team of eight, working with the UK and Ireland’s most recognisable businesses and brands. 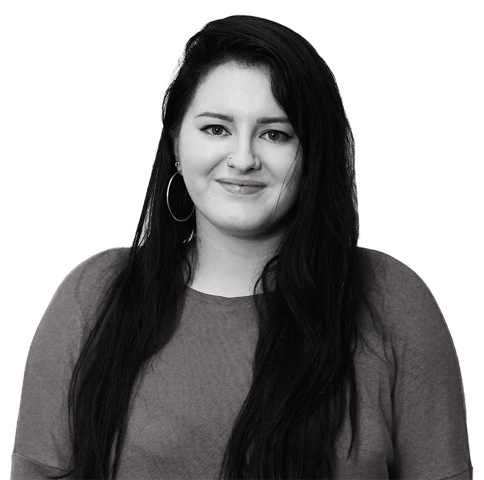 The web designer at Kaizen Brand Evolution for nearly 5 years, along with being the team leader in the studio, Lizi ensures that all digital content and websites are forward thinking and progressive. She likes to push the envelope with functionality online while keeping the user in mind at all times, this approach excites the client and when executed successfully secures long standing relationships. 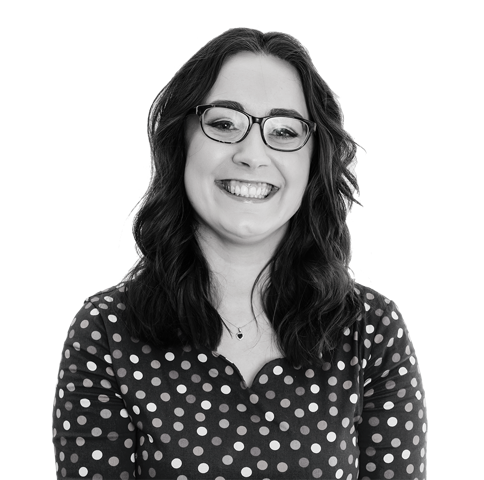 After completing a UX journey and mobile responsiveness course, Lizi is well equipped to advise on the flow of the website and how to best hold attention and convert online. As well as the best UX research tools and tasks to make the most out of the design and layout of the site to best suit the user. Lizi codes from front end designs interpreting the brand message to digital format. Lizi’s has created websites for many of Northern’s Ireland’s most recognisable brands such as Boojum, Slim’s Healthy Kitchen, McQuillan Companies, Mirror Media and The Pride of Ireland Awards to mention a few. Lizi has a cat ‘Nala’ who she fuss over a little too much, and in her free time she likes to look up cat video’s on Youtube, oh and did we mention she likes cats? Fresh off the blocks from University, Ciara has been fortunate to work on some really creative projects on brand strategy, visual identity and brand transformation engagements. At Kaizen Brand Evolution, Ciara creates brands, layouts for print and digital outlets and delivers meaningful change across organisations. Ciara has worked across corporate, hospitality, health, fitness and beauty since joining the studio. Ciara’s power lies in strategic and beautiful design, thorough and collaborative creative processes, helping the team deliver outstanding design with purpose. Ciara is passionate about design thinking and the art of storytelling and how it can help solve business problems. Outside of the studio Ciara enjoys long walks on the beach with her red setter Stella and regularly attending gigs across the country.